In the 2019 Land Rover Range Rover, you have plenty of advanced technology features as well as spacious configurations to allow for overpacking on your South Brunswick road trips. Whether you choose to upgrade to more luxurious heated seating or a high-tech new interface, the Range Rover can provide all you need and more. From storage options to overall headspace, the Range Rover interior provides enough room for you, your passengers, and for all of the things you need to bring along on trips. The center console storage goes deep to hold larger items up front and the Rear Executive Class seats allow your passengers to stretch out for more comfortable adventures. 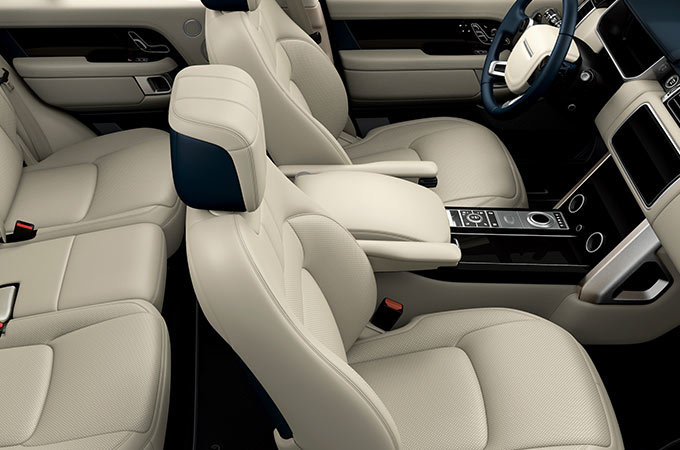 With the Range Rover, you won’t have to worry if you have enough room. Whether you want to build a new Range Rover or find a used Range Rover for sale near you, we at Land Rover Princeton can help. Take the Range Rover for a test drive, learn more about other Range Rover models such as the Range Rover Velar and Evoque, compare the Range Rover to the Jaguar F-PACE, or browse our lease deals with our finance department. Contact us today for more information.